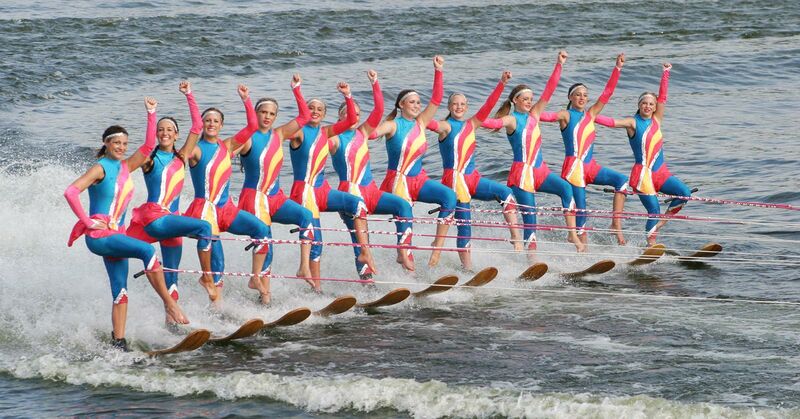 Every year, the Aberdeen Aqua Addicts work hard to create a fun-filled and action packed water ski show. Complete with barefooting, jumping, pyramids, ballet and more, all centered around a theme and choreographed with music and entertainment. So grab your kids and head out to Dahme Lake just south of Aberdeen to experience the best show on water. You can purchase your tickets beforehand by clicking the link below. 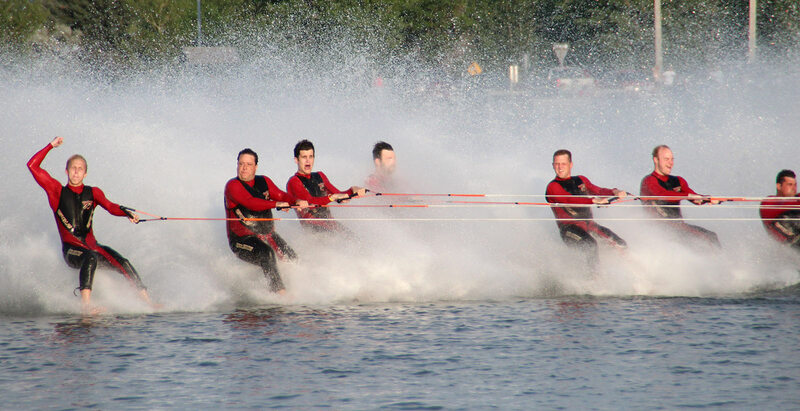 Come be a part of South Dakota’s premier waterski show team. The Aberdeen Aqua Addicts Water Ski Team was organized in 1995 right here in Aberdeen, South Dakota. A non-profit organization, the team is dedicated to teaching people of all ages, regardless of their ability, the fundamentals of water skiing. Through weekly performances and competitions throughout the summer, you will learn invaluable skills in teamwork and leadership, all while learning the fun and exhilarating skill of water skiing. As a non-profit organization, the Aberdeen Aqua Addicts Water Ski Team looks to our fans for support in continuing the show. For a donation of $20 or more you will be listed in our annual program book in the Friends of the Aqua Addicts section. We greatly appreciate any and all donations. If you’ve enjoyed our show over the years, please donate today to help keep our organization going strong. The Escape to the Lake Adaptive Water Ski event is for people with physical and/or mental disabilities to experience the thrill and excitement of skiing on the water. We are happy to provide this event free of charge to all participants. For more information or to sign up please click the button below.